a chic furniture piece that will not only add a hint of style to your interior, but will also make the space purposeful. Fine cuts and a bold finesse make this cabinet the perfect accessory to accentuate your interiors. Occupying very little space, the cabinet fits easily into small spaces as well. The Multimedia Cabinet is made out of medium-density fiberboard and birch veneer. .It has a charming cherry finish, which goes with most furniture in the room. 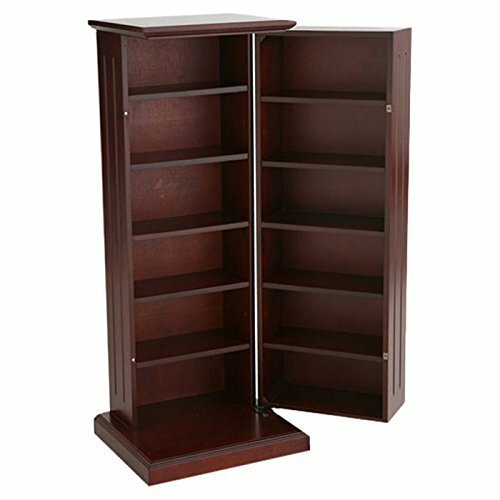 You can neatly line up your CDs and DVDs in this cabinet and make optimum use of the spacious interiors. If you have any questions about this product by Red Barrel Studio, contact us by completing and submitting the form below. If you are looking for a specif part number, please include it with your message.